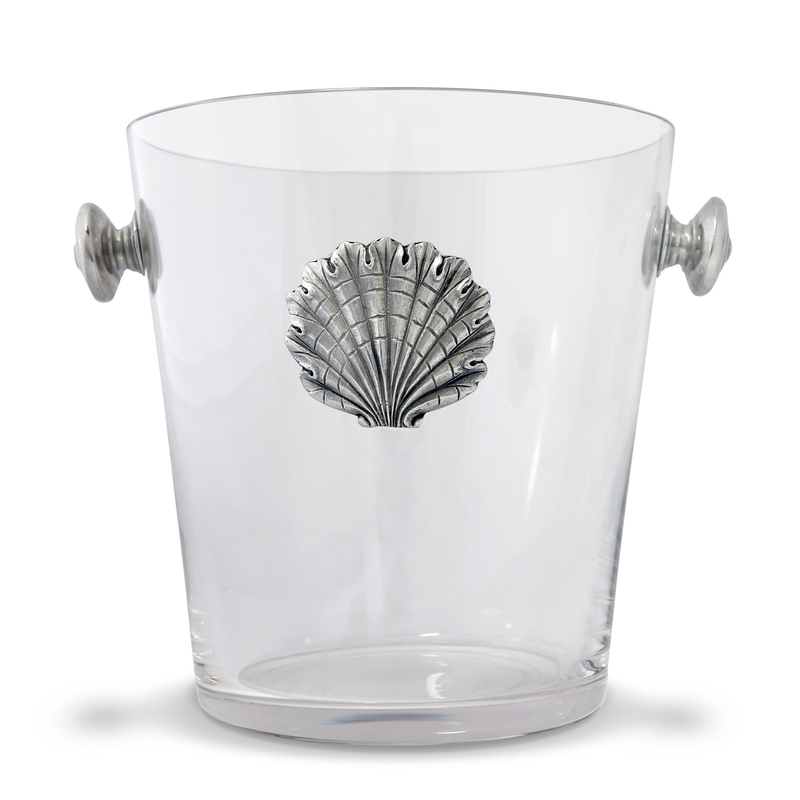 The Coquille Glass Ice Bucket brings seaside style to your dining room with an intriguing stylized layered scallop shell medallion and two detailed pewter knob handles. This coastal kitchen decor ships from the manufacturer. Allow 3 to 4 weeks. Cannot express ship. For additional pieces, we ask you to make time to view our full range of coastal kitcen decor at Bella Coastal Decor now.